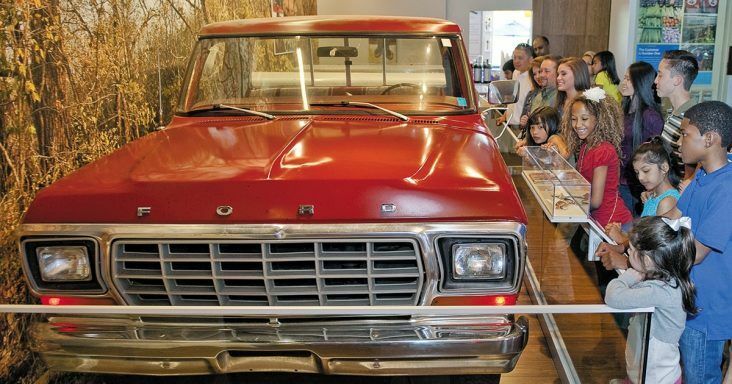 Walmart Museum visitors examine Sam Walton's Ford F-150 pickup truck, which he bought new in 1979 and drove until he died in 1992. Walmart founder Sam Walton — who died April 5, 1992, due to cancer — would turn 100 years old on March 29, and the Walmart Museum in Bentonville has planned a series of events to celebrate the date. Festivities kicked off March 1, and games, songs, sweet treats and special guests will be on hand at the museum throughout the celebration, according to the museum. Walmart Museum also has planned a Sam Walton Centennial exhibition for downtown Bentonville’s First Friday event on April 6 at the downtown square. Centennial Alley on the square will celebrate Walton’s legacy, according to the museum. Walton is a good role model because what he did is replicable and “does not require any special traits,” Lidow said. Lidow is the first researcher who was granted inside access to the Walmart Museum’s archives, according to the publisher, Diversion Books.